Francine's Friends was recently one of eleven local recipients honored when the new Kroger Marketplace opened at Coldwater and Dupont. The presentation was made on Wednesday, September 28th, at the invitation only, pre-opening open house. "We are thrilled to be one of the recipients of the $38,000 total in monies donated," said Francine's Friends Board President Sharon Simmons, who was on hand to accept the award. Other board members in attendance included Debi Kennedy, Glynda Harris and Donna Emley. Camp Red Cedar, The Community Harvest Food Bank, and local area schools were also represented at the event. The $1,000 donation will go toward the actual costs of screening mammography. 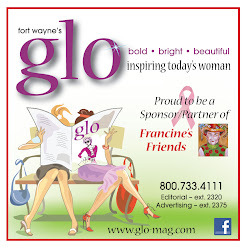 Kroger locations have been long-time sites for the Francine's Friends mobile mammography coach. This is the second time Francine's Friends has been a recipient. 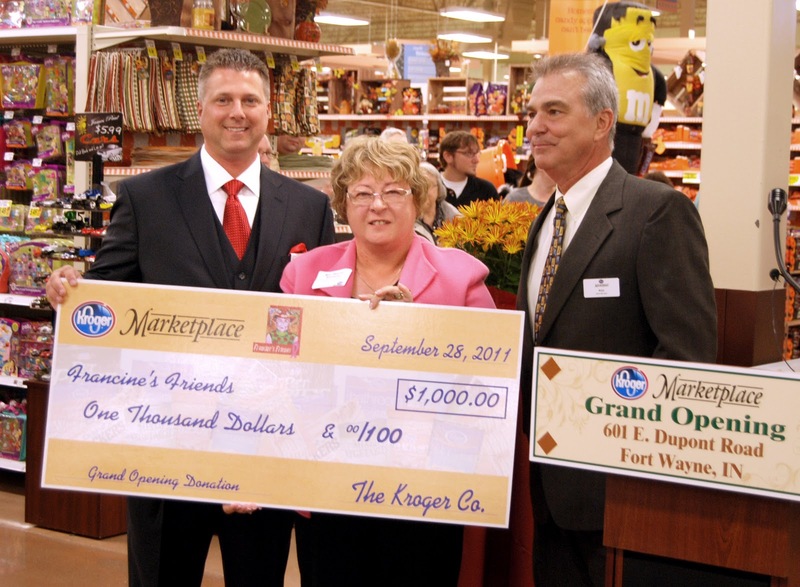 Kroger is in the midst of a $100 million expansion in northeast Indiana. 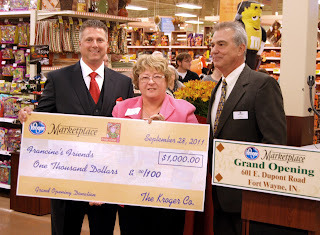 At more than 126,000 square feet, the East Dupont Road grocery is Cincinnati-based Kroger Co.'s largest in Indiana. 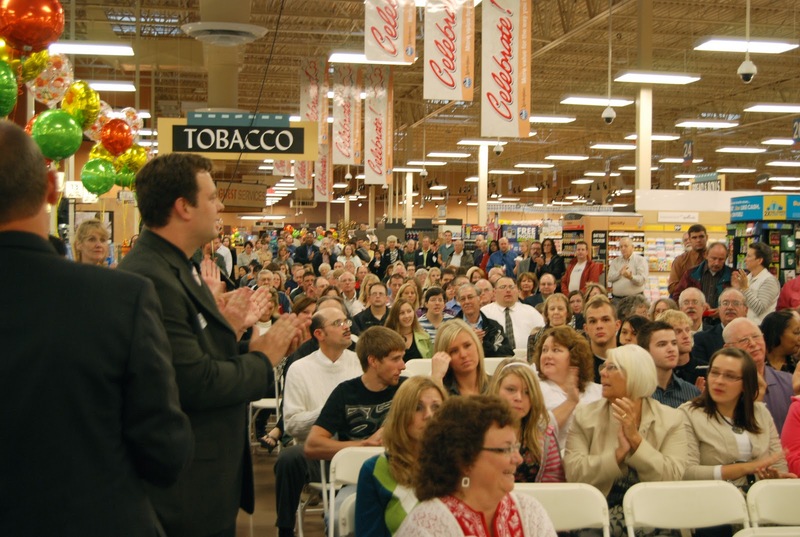 It features a café, a Fred Meyers jewelry store and large infant and children's departments, and departments with furniture, linens, toys, office and school supplies. 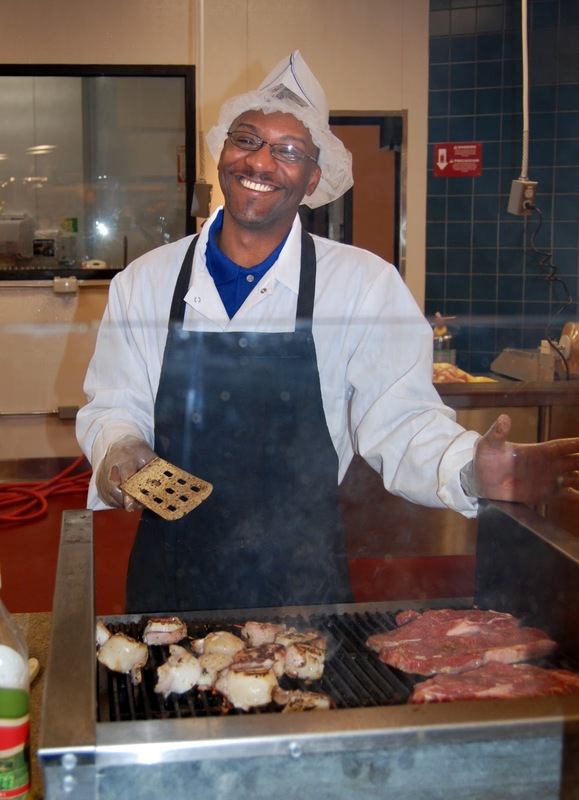 This is the first Kroger Marketplace store in Fort Wayne to open, so Kroger went all out with food samplings ranging from an expanded sushi section to scallops and steak hot off the grilling station in the meat department. In addition to groceries, the store will feature gluten-free all-natural foods, household appliances, a bistro and a build-your-own cupcake station. Employees from the Scott's that will close across the street will be joined by 130 new-hires for a total of 325 employees. 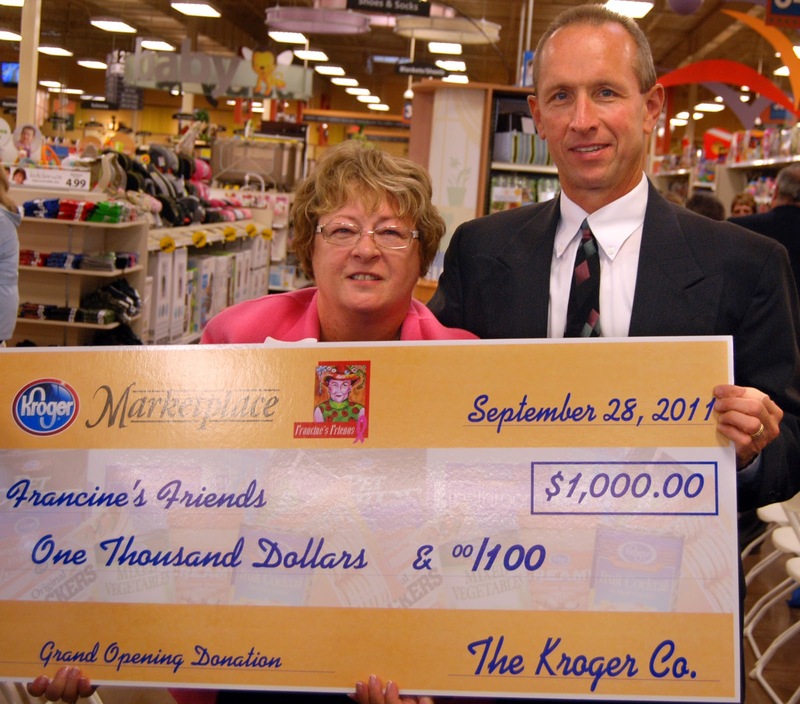 Francine's Friends is honored to again be a recipient and proud to have such a great community partner in Kroger.